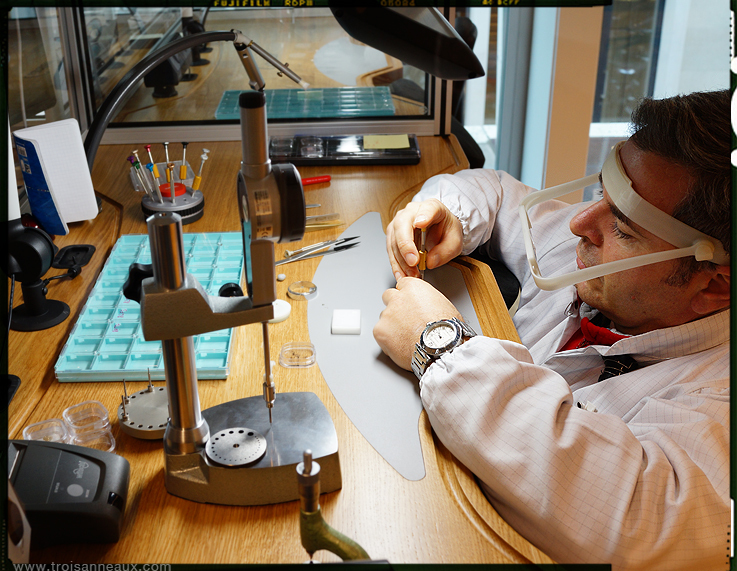 Earlier this month I had a chance to visit the in November re-opened Geneva Boutique at 35 Rue du Rhône. I remember the Boutique from last year, when it was just one of the European Boutiques, nothing more, nothing less. The change is incredible, in the period that the building was behind a facade for renovation, it was completely restyled following the lines that were set out by architect Bruno Moinard. 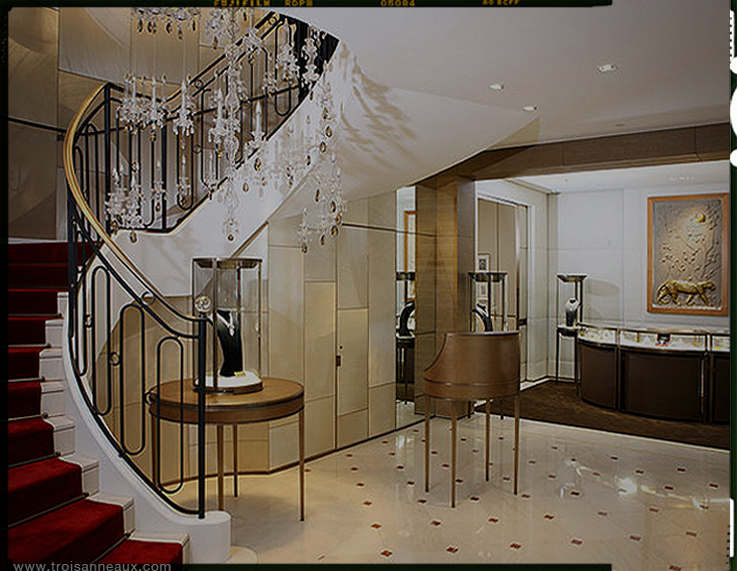 The boutique was also dramatically enlarged, since Cartier was able to obtain a third floor. 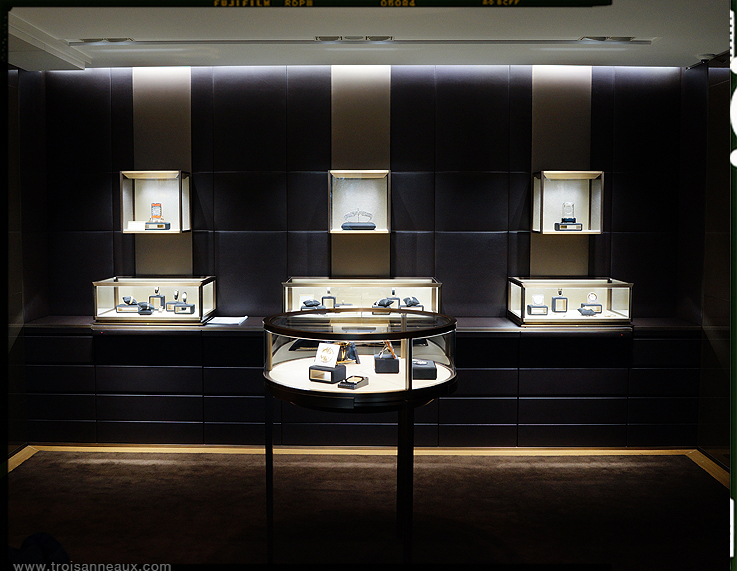 The Geneva Boutique and the Boutique at the Champs-Élysées are now the largest Boutiques in Europe, occupying a hefty 1000 square meters. 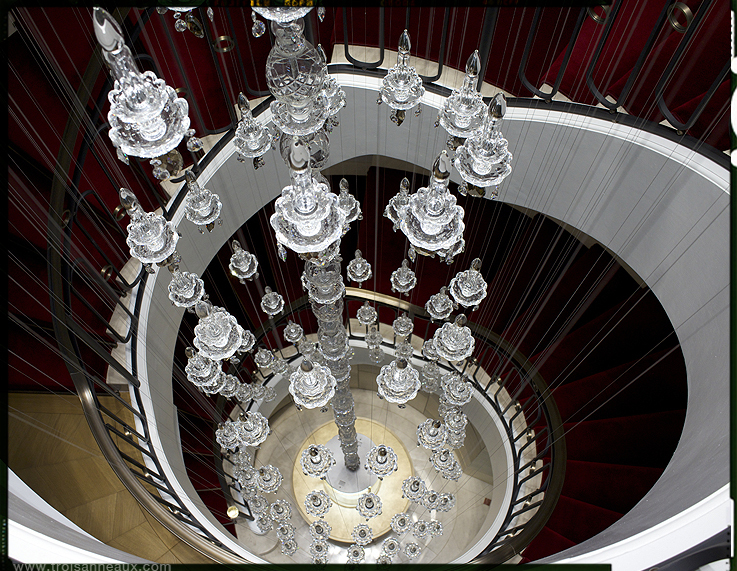 The stairs with red carpet to the first and second floor are pretty wide and guide you along the impressive chandelier. 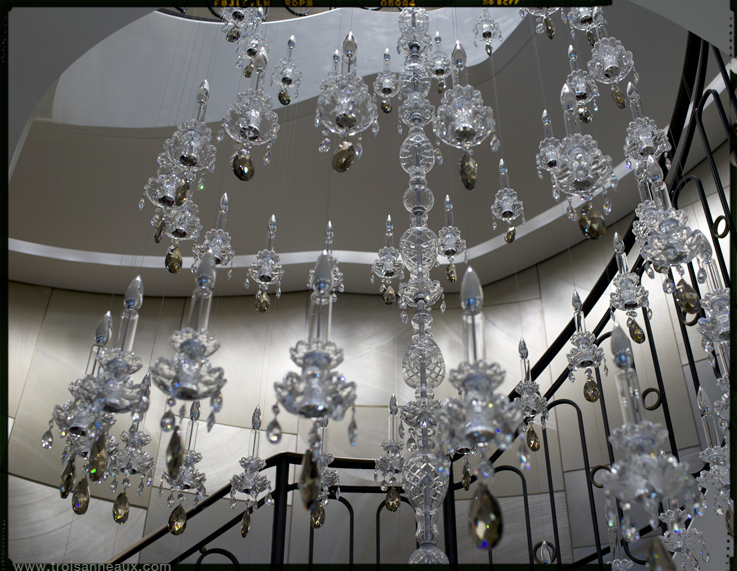 Chandeliers are quite important, within the design concept of Bruno Moinard and they differ in style from Boutique to Boutique. 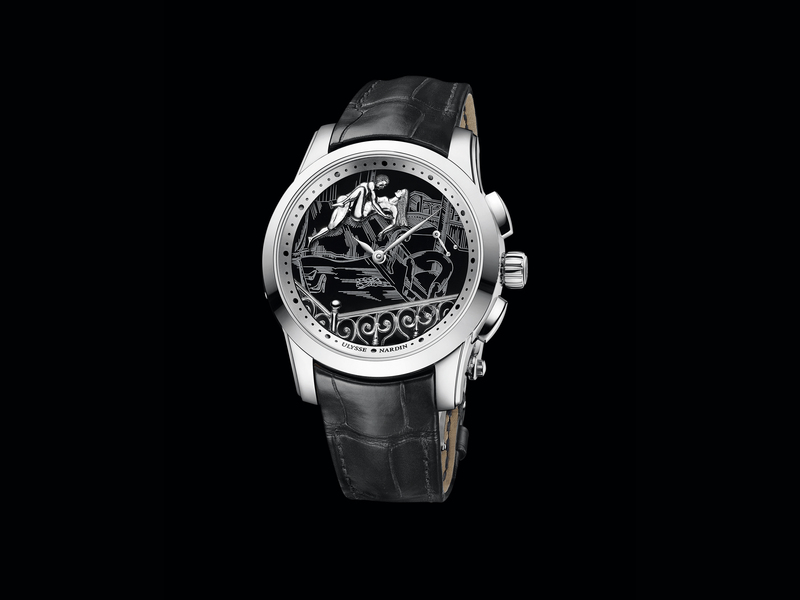 Sometimes they are acquired the way they are, but usually they are custom made for a Boutique. 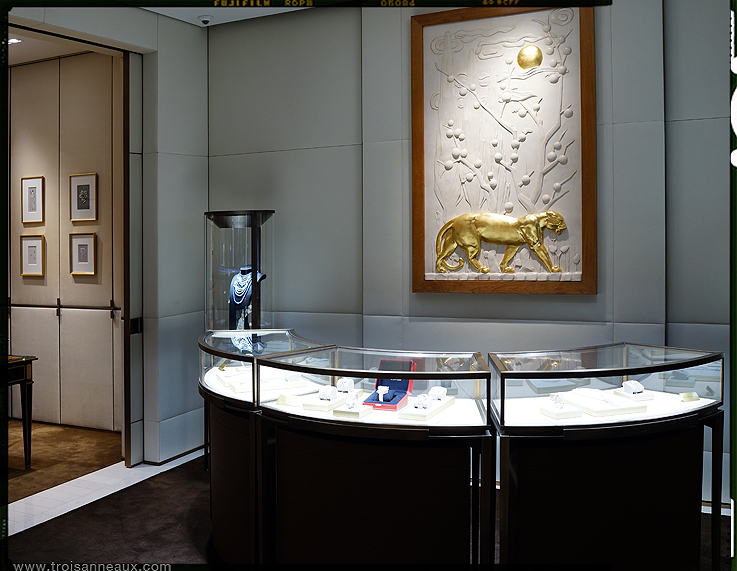 From a collection point of view, the Geneva Boutique is the home of what Cartier’s Fine Watch Making is all about, since the the store, since the re opening, holds the largest collection of watches in the world. 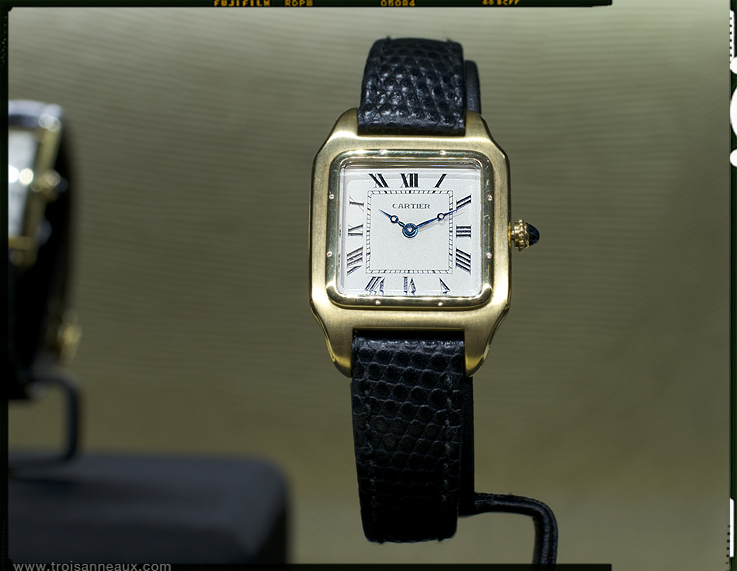 The almost entire Fine Watch Making Collection can only be seen here and in the case that a watch is available, in two or three different colours of gold, or platinum, the various versions are here, ready to be seen and checked out. 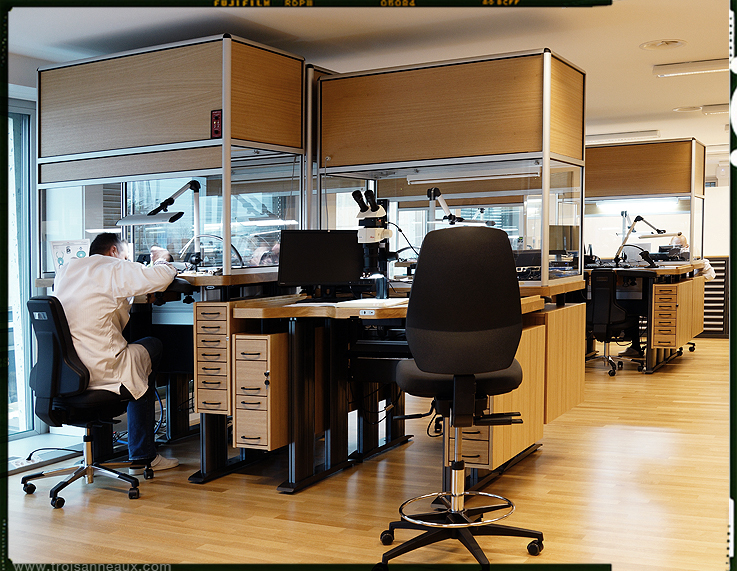 While the third floor is partly reserved as sales space, it is also the new home for the Geneva Seal watch makers. 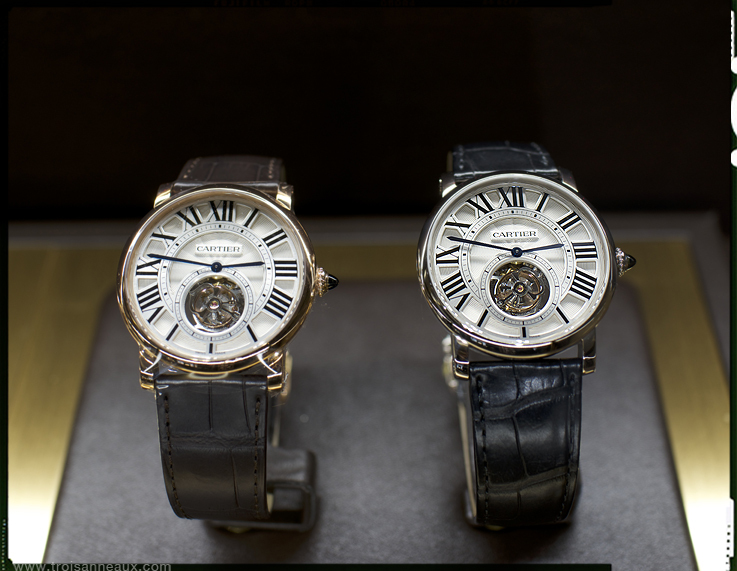 When Cartier launched their first Tourbillon with Geneva Seal, in 2008, the watchmakers were located at a temporary location in Geneva. 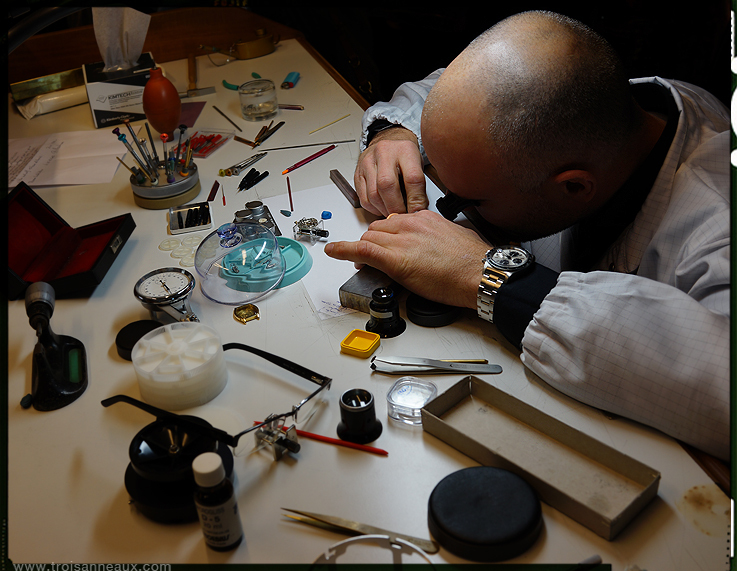 Now this important department is integrated in the Geneva Boutique. 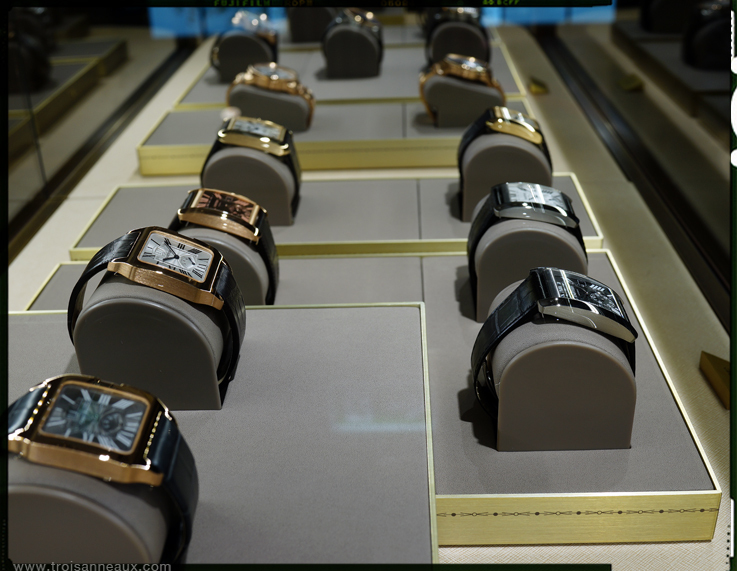 Another specialty, that can also be found at the Fifth Avenue, Rue de la Paix and Bondstreet Flagship stores, is vintage watches and jewellery. 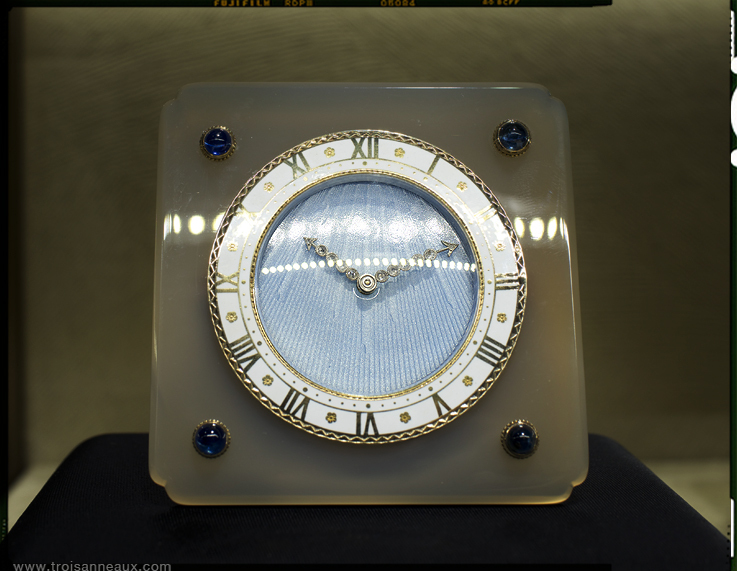 At the time I was visiting the Geneva Boutique there were many pieces on display. 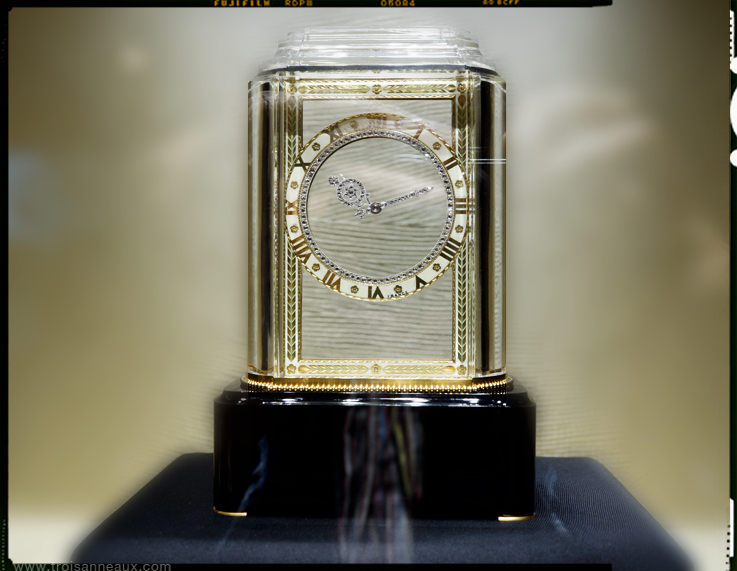 From various Tanks to this gorgeous Santos Dumont. 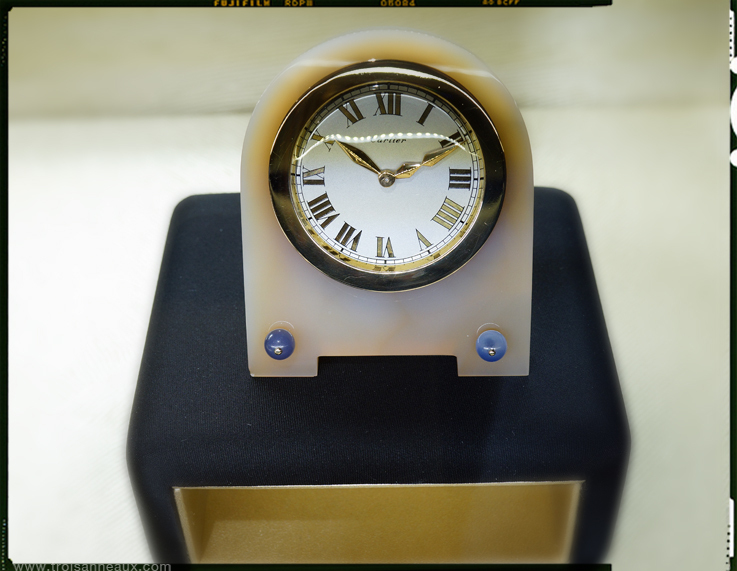 Clocks have always been very important in the collection and I discovered a range of stunning clocks from the early years, including an amazing Mystery clock model B. 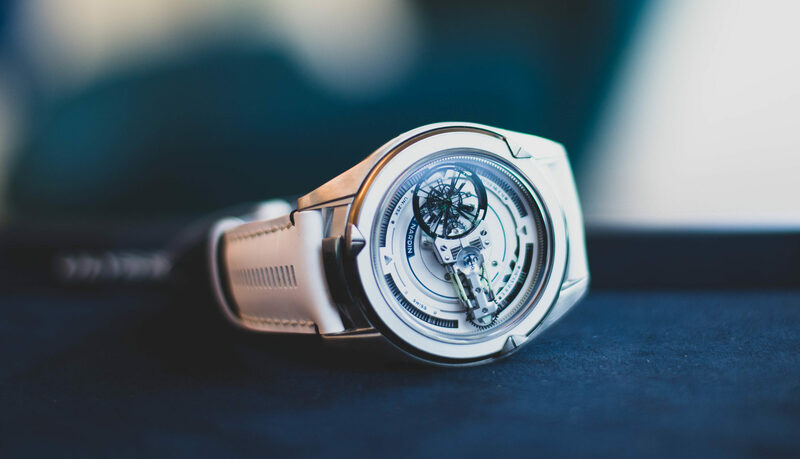 Next time you’re in Geneva, make sure you reserve some time for a visit to no.35 Rue du Rhône, I am sure you will be amazed by the collection itself and the items you may have never seen before.